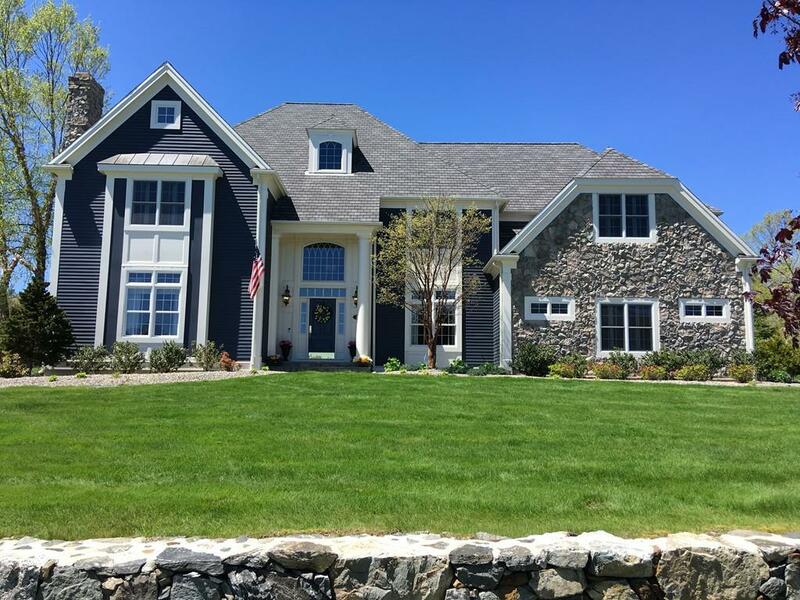 This stunning colonial in Barn Hollow neighborhood is custom-built by local quality builder. Sits on a large lot & is full of high-end finishes w/ exquisite details throughout. Kitchen boasts high-end appliances including a Viking gas range, double Thermador wall ovens, Subzero fridge, designer backsplash & huge island open to dining area w/ peninsula & wine cooler. Elegant family room is open to kitchen area & has gas fireplace, skylights, cathedral ceiling & gorgeous built-ins. Main floor also boasts dramatic entry, office, living rm, dining rm, functional laundry rm & mudroom w/ walk-in closet. 2nd floor has 5 bedrooms, each w/ direct access to a bathroom. Spacious master suite has walk-in closet & large bath w/ jetted tub, ample shower & double vanity. Beautifully finished basement w/ built-ins, bath & gym. Outside, a resort-like, heated inground pool & hot tub w/ lovely stone patio await you. Renowned Southborough schools & 35 min drive to Boston. This superb home could be yours!